In the first of Elk Grove's 2016 election season, a candidate has filed papers with the Elk Grove City Clerk's office indicating their intention to run for office. That person is Elk Grove Planning Commissioner Kevin Spease who will be seeking the Mayor's office. 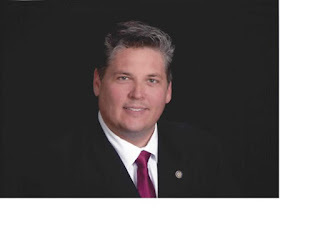 Spease, who was appointed to the Planning Commissioner by his opponent Mayor Gary Davis in January 2014, has been active in many civic causes in Elk Grove with his wife Angela. Additionally, the Spease's operate Spease Bees, a purveyor of locally sourced honey. "After talking with family, friends and people around Elk Grove who are actively volunteering in the community and getting things done, I think Elk Grove needs a change - a new perspective that is less political," Spease said. "So I am running for mayor." Spease's opponent, Davis, was elected to the Mayor's office in 2012 was unopposed for reelection in 2014. Davis was first elected to the Elk Grove City Council in 2006 when he defeated incumbent Dan Briggs. "I believe Democracy is better served with contested races," Davis said. "I welcome any and all candidates to join the race and look forward to the discussion of ideas." In addition to filing with the city clerk, Spease also launched a campaign website at KevinSpease.com as well as his page on Facebook. Spease is also a vanishing breed in politics, especially on a nation level - a candidate who served as a combat veteran in American Armed Forces. "We are just getting started but I look forward to getting around to talk with people after my February 23 launch and, after then, I would love the opportunity to discuss and collaborate on real solutions for Elk Grove," Spease added.